This sleek modern design is also comfortable and functional. 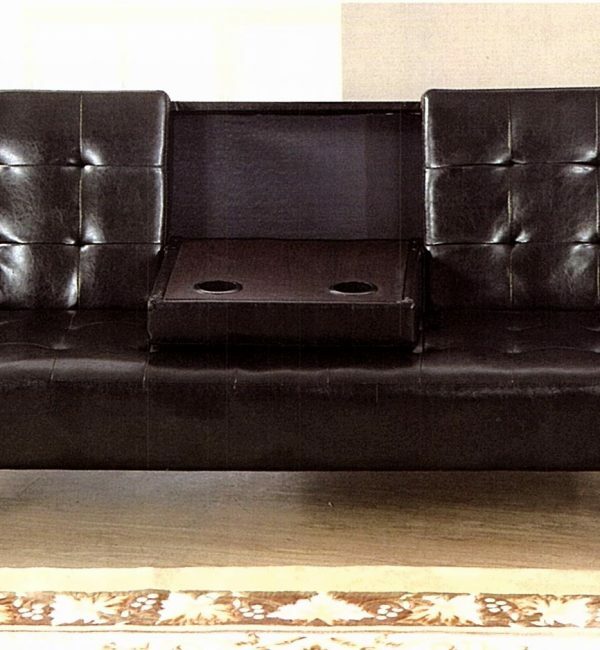 The sofa converts into a bed quickly and easily ,modern cup holders in the middle makes it more convenient for your and your guest. extra built-in leg adds extra support. 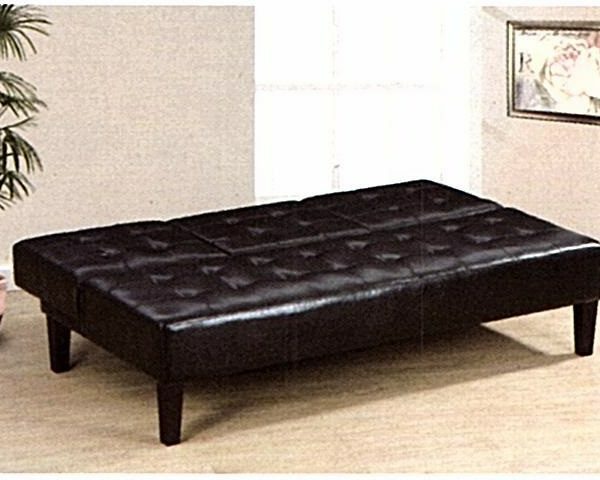 Upholstered in black Faux leather . SKU:F7209. 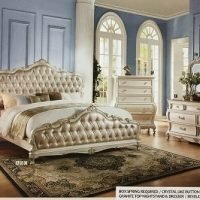 Categories: Bed Room, Day Beds and Trundle Beds. This sleek modern design is also comfortable and functional. 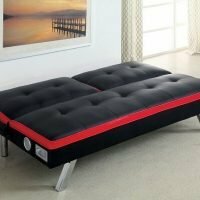 The sofa converts into a bed quickly and easily and extra built-in leg adds extra support. 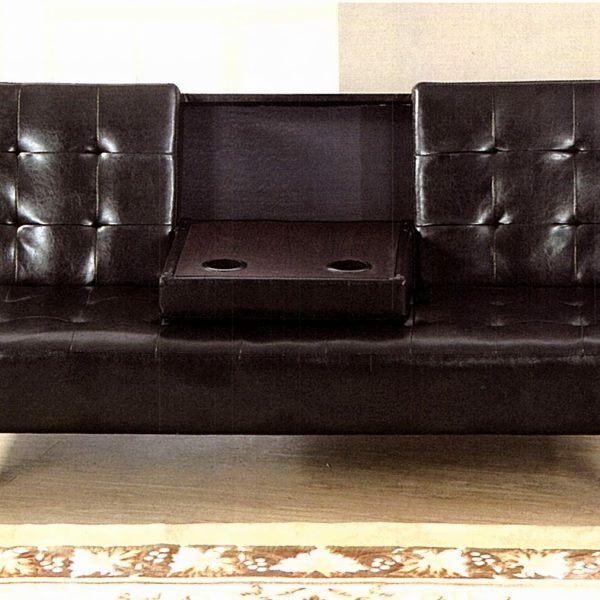 Upholstered in black Faux leather . For more designs please visit our store and for fast free local delivery please call us at (818) 912-9815. 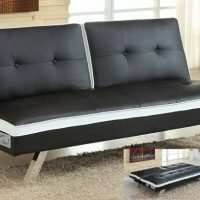 Futon Sofa With Bluetooth and Speakers. 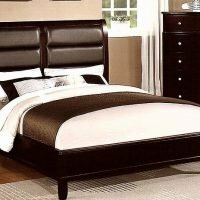 Brown Finish Storage Platform Bed Contemporary Style , Ready matters . Solid Wood & Wood Veneers.